Surface Mounted Access Doors offered here at Builders Sale are a superb gateway to install access doors far easily than you expect or imagine. Access doors from this class come in many sizes and fit seamlessly in many types of installation instances. 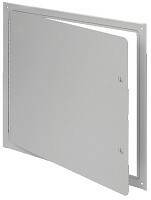 These sorts of surface mounting doors are suitable for mounting on walls and ceilings. Moreover, these doors come with lots of choices of cylinder lock and keys. Well, at Builders Sale, we understand your needs and the broad spectrum of product requirement. You are at the right place to grab the trendiest deal on surface mounted access doors with superb strength, simple installation, excellent longevity, and a class apart from all others. These premium doors are made in state of the art manufacturing facility of topnotch industry players and stringent quality checks ascertain that you get the best every time. Explore the limitless options to reinvent the smoothness of access in your build project with us and allow us to rock your world. Builders Sale certainly is your one stop shop for virtually every need you may ever have. We understand your world and provide a precise solution that fits. Count on us and we will never disappoint you for whatsoever reason. 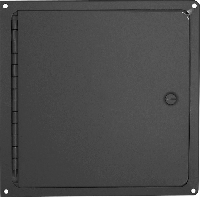 Acudor SF-2000 Surface Mounted Access Door 12" x 12"
Acudor SF-2000 Surface Mounted Access Door 16" x 16"
Acudor SF-2000 Surface Mounted Access Door 24" x 24"
Acudor SF-2000 Surface Mounted Access Door 8" x 8"